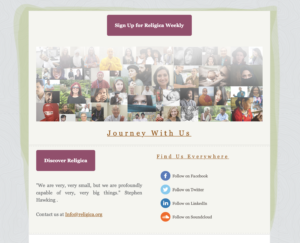 We know that your busy, so our Religica newsletter only shares two highlights each week. Get this delivered to your inbox each Monday by signing up to our Religica’s newsletter. You will be able to stay informed with the latest podcasts, videos, blogs, news, and information.